Click the button below to add the Caesar Rim Spice Party Pack to your wish list. 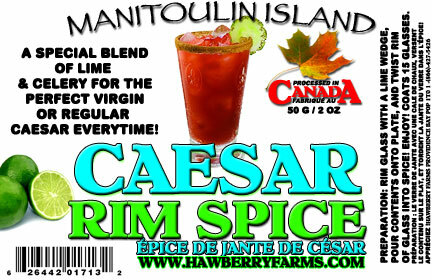 A special spice blend for the perfect virgin or regular caesar everytime! Rim glass with a lime wedge, pour some onto plate, and twist rim of glass into spice! Ingredients: celery salt, lemon, lime. This stuff is the cherry on top for the perfect Caesar. Yum!